The dried leaves of Boneset, a large, long-lived herb which likes to grow in damp, marshy places. 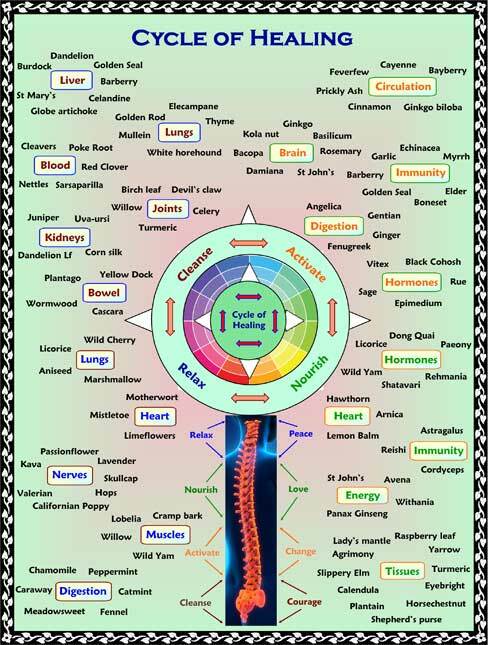 This fact was not lost on herbalists of old who saw connections between where a plant grew and how it could best work in the body. 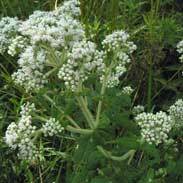 Boneset was a favourite remedy of the Native North American tribes. The Menominees used it to reduce fever, the Iroquois and Mohegans for fever and colds, the Alabamas for upset stomachs and Creeks for body pain. 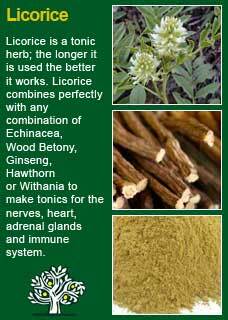 Native Americans also used Boneset for arthritis, indigestion, constipation and loss of appetite. Among European settlers Boneset soon became a popular remedy, in 1887 Dr Millspaugh wrote ''there is probably no plant in American domestic practice that has more extensive or frequent use that Boneset; the attic or woodshed of almost every farm house has bunches hanging from the rafters, ready for immediate use should some family member of neighbour be taken with a cold'. David Hoffman says 'Boneset is perhaps the best remedy for influenza' and Simon Mills says 'Boneset provides an excellent diffusion of heat out of the body, particularly useful for respiratory sources of fever, such as influenza and for catarrhal conditions generally'. 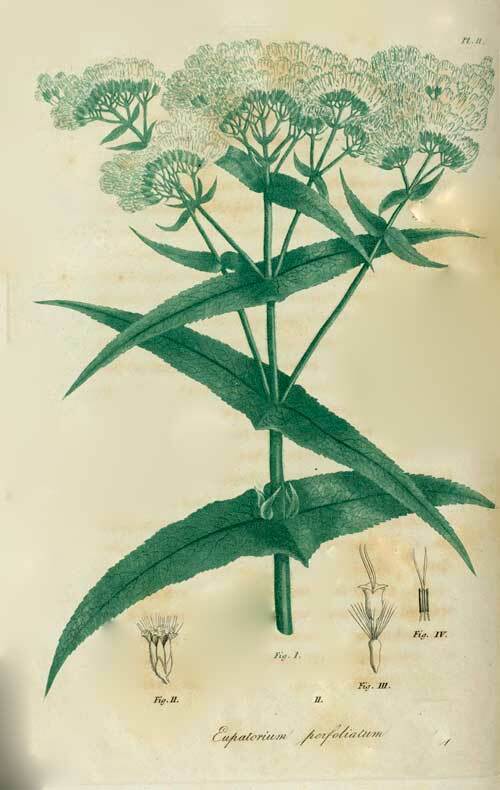 The British Herbal Pharmacopoeia (BHP) describes Boneset's actions as diaphoretic & aperient and say it is generally indicated for influenza, acute bronchitis and naso-pharyngeal catarrh and specficially indicated for influenza with deep aching and congestion of the respiratory mucosa. The BHP recommending a dose of 1-2 grams by infusion or 1-2 mls of the tincture or extract of Boneset. The following excerpt from H Felter, written in 1922, soon after the great influenza epidemic, gives a broad and practical appreciation of its virtues in the pre-antiobiotic era: 'Eupatorium is an old American drug that has found its way into general medicine through aboriginal and domestic usage. Formerly it was a favorite emetic and was successfully used at the outset of fevers of the bilious remittent and intermittent types. Its antiperiodic properties were well known and used to advantage in ague districts many years ago. Its property of relieving deep-seated pain was also early recognized, obtaining for it the common name of “Boneset”. It is now seldom, or never, used as an emetic chiefly because emetics are not often employed, and also on account of the bitterness of the drug and the quantity of infusion required. Its thoroughness as such, however, cannot be questioned, and it has no poisonous or depressing qualities. Eupatorium is now used in malarial affections of the irregular and masked types, and particularly those not benefited by quinine. The chill and succeeding fever are slight, the skin dry, and not, as a rule, followed by perspiration; there is deepseated, aching pain, as if “in the bones”, praecordial oppression, and great thirst. If, however, the fever lasts all day, slight sweating may occur at night. An added indication in ague is vomiting, especially of much bile. Formerly the hot infusion was given to emeto-catharsis, and followed during the intermission with tonic doses of the cold infusion. This is now known to be unnecessary, full doses, short of nausea, of the alcoholic preparations being fully as efficient. Malarial headache, with irregular intermittence, is also relieved by small doses of the drug. Eupatorium is an admirable remedy “to break up a common cold,” especially when accompanied by deep-seated, aching pain and slight or no fever. If there are pleuritic pain and hoarseness, it is also valuable. In every epidemic of influenza it has been used with great advantage. During the severe pandemic of 1918-19 it was one of the safest and most successful remedies employed and contributed much to the successful management of the disease under Eclectic treatment. By many it came to be used as a prophylactic, persons taking it freely apparently escaping attack. Notwithstanding this, its prophylactic power, if it has any, is as yet unexplained and should not be seriously relied upon. That cases were rendered milder, deep-seated pain promptly relieved, cough and respiratory irritation lessened, and recovery expedited under the liberal administration of eupatorium is a matter of record. It is especially valuable to relieve the intolerable backache and pain in the limbs. Eupatorium often relieves periosteal pain of a neuralgic type, particularly if associated with malarial infection, but it renders no service in that caused by inflammation or by syphilitic or other organic changes in the periosteum. 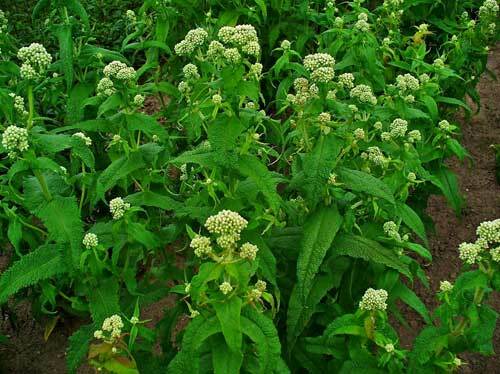 In respiratory affections boneset is efficient to relieve cough, acting best in that occurring in the aged and debilitated, where there is an abundance of secretion, but lack of power to expel it. 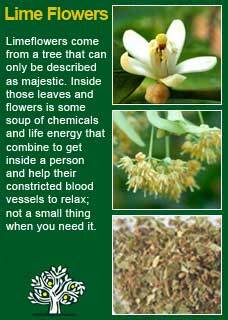 It also relieves hoarseness, and sometimes benefits in humid asthma. It is one of the best of medicines to relieve the irritable cough of measles, but care must be taken not to push its effects to nausea and vomiting. For children it is best administered in an aromatized syrup. In pneumonia it relieves chest pains and cough, and for these purposes may be employed in the early stage of acute lobar, but more effectually in broncho-pneumonia. After the active stages have passed it again becomes useful to allay the irritable after-cough and to assist in expectoration when bronchorrhea occurs. Being tonic and stomachic, when given in small doses it improves the appetite and digestion and thus favors a more rapid and perfect convalescence. ~ Another study showed that Boneset has anti-inflammatory properties lending support to its traditional uses. In the Journal of Ethnopharmacology 1st September 2011, Pages 371–381 after testing Boneset via LPS-stimulated RAW 264.7 cells by NO/iNOS quantification, gene array, real-time PCR and ELISA the authors concluded its anti-inflammatory effects can be seen as a verification of the traditional use against inflammatory diseases. ~ Boneset contains sesquiterpene lactones, including eupafolin, euperfolitin, eufoliatin, eufoliatorin, euperfolide, eucannabinolide, and helenalin; immunostimulatory polysaccharides, primarily 4-0-methylglucuroxylans; flavonoids, such as quercitin, kaempferol, hyperoside, astragalin, rutin, eupatorin; diterpenes, including dendroidinic acid and hebenolide; sterols; and volatile oil. (Herz, W., Kalyanaraman, P. S., and Ramakrishnan, G. Sesquiterpene lactones of Eupatorium perfoliatum. J Org Chem 6-24-1977;42(13):2264-227) These sequiterpene lactones that stimulate the digestive tract and in larger doses would be expected to help expel parasites. Researcers experimenting with a sequiterpene lactones from Boneset called EVP concluded that it possessed anti-tumour properties. Boneset should not be taken as a fresh herb as it contains a toxic chemical called tremerol that is eliminated by drying. The recently discovered presence of trace amounts of pyrrolizidine alkaloids in Boneset means that, even if we have no evidence of it doing any harm, we should limit ourselves to only using it when needed and not longer. 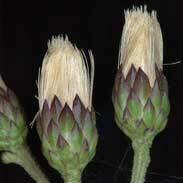 Our ability to stay very safe with this herb is further aided by it being a quick-acting medicine that only requires modest doses to have strong effect. It is also important to note that if you use too much Boneset then you will quickly feel mild nausea all the way up to vomiting and diarrhoea. The intense bitterness of Boneset warns that this is a herb to treat with respect and not to overdo. Taking too much will quickly trigger a reaction in the stomach, if you are drinking Boneset tea and you feel nausea then stop, it will still act as a potent medicine in low doses and this is your body's way of telling you that you have had enough. When I have used Boneset as a tea for severe colds and flus I have found it to be remarkably effective and I most certainly can attest that this herb does help with awful ache in the bones of a bad flu or fever. I also frequently use Boneset as a tonic in immune boosting formulae, albeit in carefully moderate doses, and believe it can convey a singular kind of fast-acting intensity to an immune tonic that has no comparison. 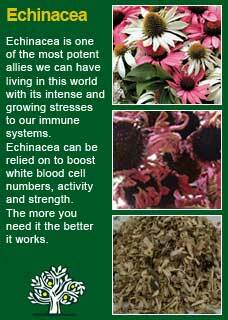 The invaluable Echinacea, by comparison, may convey much more widespread benefits to a struggling immunity but combining Boneset with it can get things moving in a positive direction far more quickly than if you didn't think to include it. .
Boneset also has a notable cleansing action and can be very useful for conditions where there is too much damp congestion in the body. 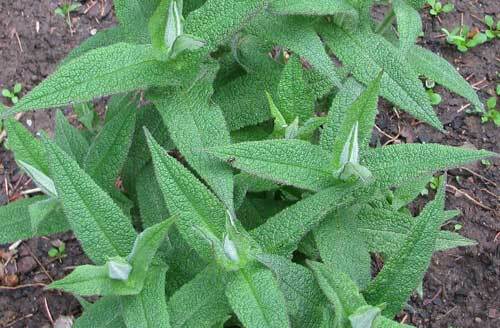 People with problems such as night sweats, bloating, indigestion, fluid retention or chronic sinus congestion can do particularly well on Boneset. 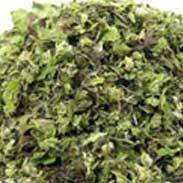 Boneset has an intense and penetrating bitterness; only small doses are needed to achieve its therapeutic effects and in tincture form I probably only look to use around 1 or 2 mls of in a day combined with other herbs as a tonic. In tea form, not much more than a half a tsp or even less will be more than enough for most people to get a strong action from the herb. If you who are reading this are studying herbal medicine then you might want to acquire some Boneset and take a very small dose of its tea or tincture with a quiet and attentive mind so you can experience its qualities for yourself. I think you will find that it reliably produces a rather distinctive 'action' that will give you an appreciation of the herb beyond the limit that an academic understanding can bring you to. 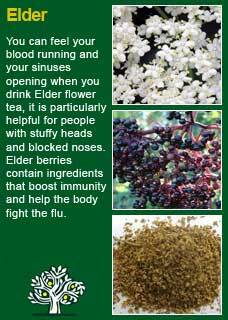 Boneset combines exceptionally well with Elder flower and Limeflowers for colds and flus and it works perfectly with the great tonic herbs Echinacea and Licorice root for boosting the immune system. Much of the information here about the traditional uses of Boneset is consistent with the model of thinking whereby one may treat condition A with plant/substance B. There is value in this approach, especially in how it helps us pass on useful knowledge to one another, but it falls short in one vital area; and that is that people are not all cut from the same cloth! Something that works brilliantly for one person may do less for another -- why is this?